From January 28, there will be discounts for holders of the Large Family Card. Large family card is a system of discounts and additional entitlements for 3+ families. 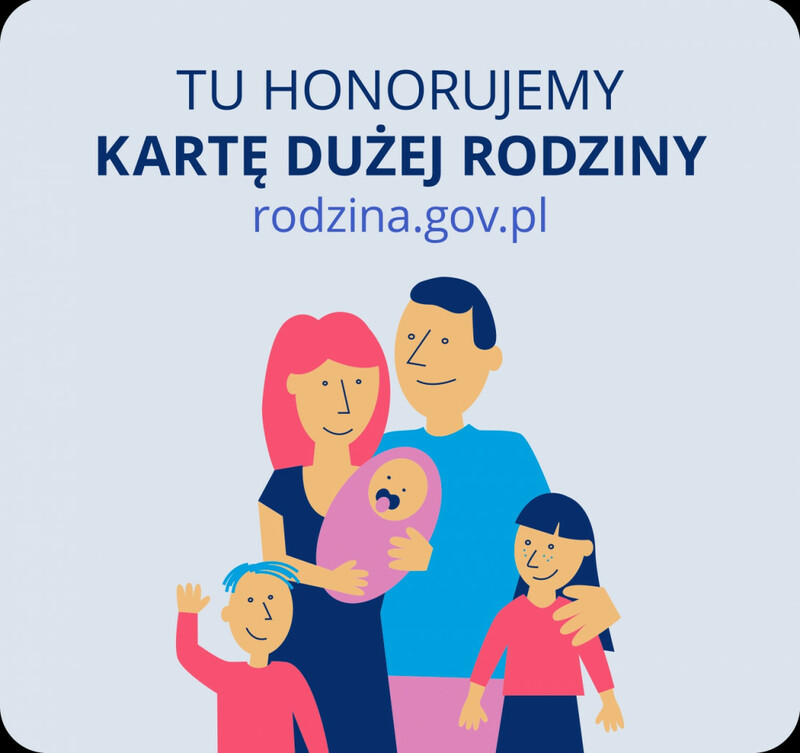 With nationwide Card of a large family , you get the right to the same discounts as with the Tomaszowszów Mazowiecki Citizen Card of a Large Family.